Railay is like a breath of fresh air after the madness that is Ko Phi Phi and this was why it was where I wanted to be on my birthday. It wins hands down over party queen Phi Phi, because it has all the ingredients of a perfect paradise; remote, stunning beaches, mighty limestone mountains and a cool vibe. Most of all, Railay puts you at ease and makes you feel at home on a tiny island where everybody knows your name even if you’re just three days old in the place. And that is in a good, non-touristy, anti we-just-want-you-to-buy-our-stuff way that is common on the other islands such as Phi Phi or Ko Phangan. This may not necessarily be the case in the Ton Sai area of the island. Budget accommodation is available in Ton Sai and mid-range accommodation is on the rugged beach of East Railay. Diamond Cave resort in East Railay is a pricier than the budget places but scores on its good location and easy accessibility to both East and West beaches. The rooms are clean and basic and you will most definitely meet a few harmless monkeys along the way if you’re walking in the grounds after sunset. Service is poor and the staff at the reception can be annoyingly cheeky, but you might have to make your peace with that, especially during busy season. From East Railay, you can walk through a forest for 10 minutes to the beautiful West Railay beach to swim in its clear water facing the stunning limestone cliffs. There are a few fancy resorts on the West beach for deeper pockets. There are no vehicles on the island and you can pretty much walk/hike or take the long tail boats between the Railay and Ao Nang beaches. Mom’s Kitchen on the Railay East beach is my favorite for just about everything Thai- curries, Pad Thai, and spicy Papaya salad. A special favorite is the Thai Iced Tea. The place is run by a friendly woman who will talk to you like she’s known you for ages. Utopia, right in the center of the forest between the East and West beaches is a good place to eat while you sit on wooden logs and watch monkeys play on the surrounding trees. What’s interesting is that this place also serves decent Indian food- Chicken tandoori and what I believe are the world’s best Samosas. These guys have the potatoes stuffing just right and serve the samosas with a delicious almost homemade sauce that I think has dates as one of its ingredients. They also sometimes screen movies at dinner time. While there are a few bars on the East beach (more popular with backpackers), and a few higher up close to the rock climbing schools, the most popular one is The Last Bar- literally the last bar on the East beach. The other bars on the beach usually shut down early and everyone eventually moves to this one and stays here until the wee hours of the morning. This is your kind of place if you enjoy great cocktails, a mind blowing fire show, lots of dancing and a cool vibe. If you like to start early, this place also has a restaurant overlooking the bar which serves delicious Indian food and a particularly good biryani. Railay is the kind of place where you go to do nothing. 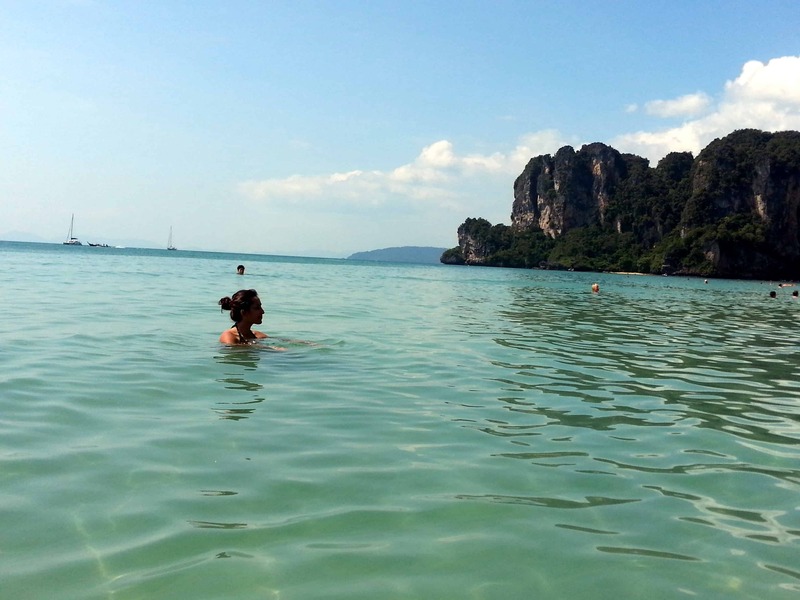 It’s perfect for swimming in the gorgeous waters of West Railay, or lie on the beach for hours soaking in the sun. If you’re feeling a bit adventurous, you can take rock climbing lessons from one of the many schools in the area. 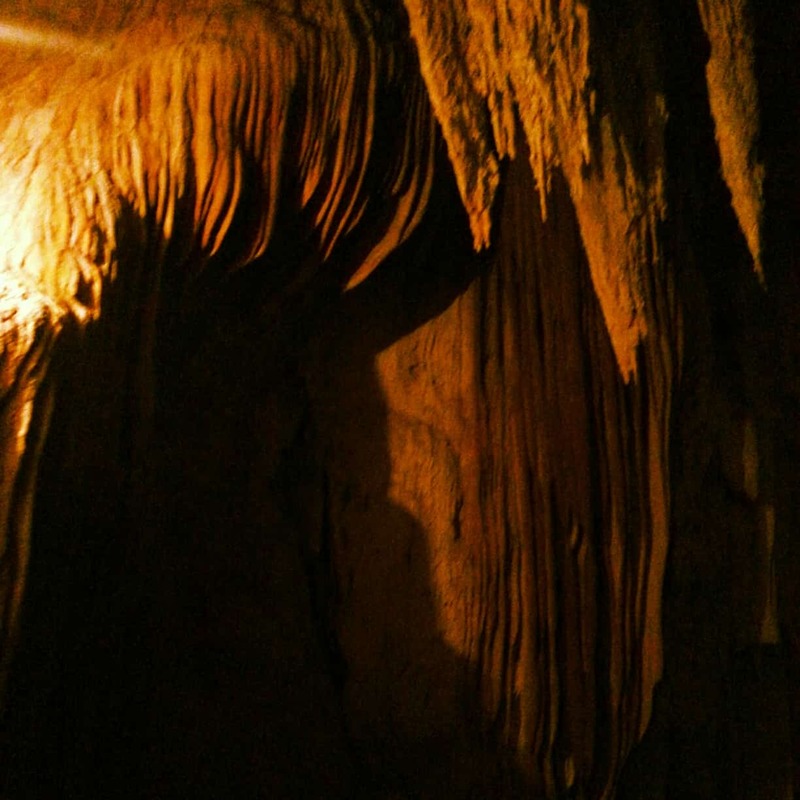 The Diamond Cave (or Phra Nang cave) is a beautiful formation of limestone stalactites and stalagmites and for a small entrance fee of 20 Baht at the time of writing, you can walk through the lit up cave. The walk is not very long and you can see the entire cave in 20 minutes walking at a leisurely pace. Another must do is to get a rejuvenating Thai massage (by the beach if you may) at the Massage center, just after The Last Bar on East Railay, for the most well spent 300 Baht. Some people complain about Railay being too touristy, but I did not think that was the case at least not when I visited. I think it’s best to stay in East Railay, as opposed to Ton Sai or West Railay both of which can be busier. East Railay definitely had very few tourists in December which is supposed to be high season. In fact, I think Railay is one of the nicer islands in Krabi, not yet destroyed by mass tourism. Previous articleEating out in Chiang Mai: My top 5! If I ever visit Railay I’ll be sure to grab a bite at Utopia. Sounds like my kind of restaurant – middle of the woods, monkeys all over the place. I bet a lot of monkey business goes on there!